I spent two weeks in Kazakhstan, what should have been a collection of information for a future project, has become a journey in the east part. weighed down by their difficult past, by a mentality that often remain at the Soviet era, and by a government that does not value its own citizens. 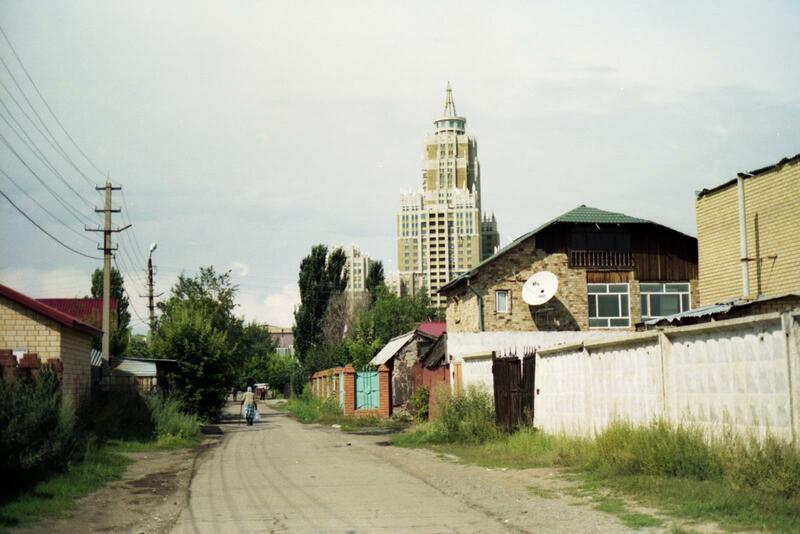 Astana, founded in 1830 as a settlement, it served as a defensive fortification for the Siberian Cossacks. In 1963, work on the first three new high-rise housing districts began. 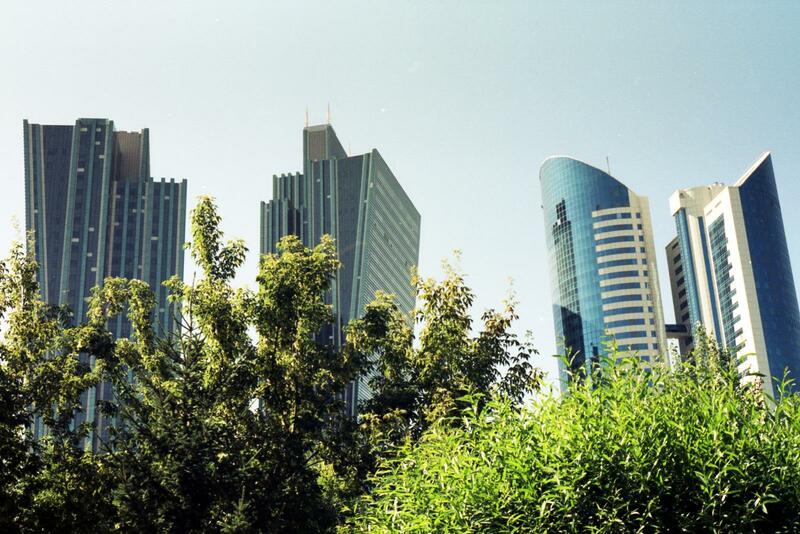 Where there was the Kazakh steppe, today there is a new, spacious and expensive planned capital. 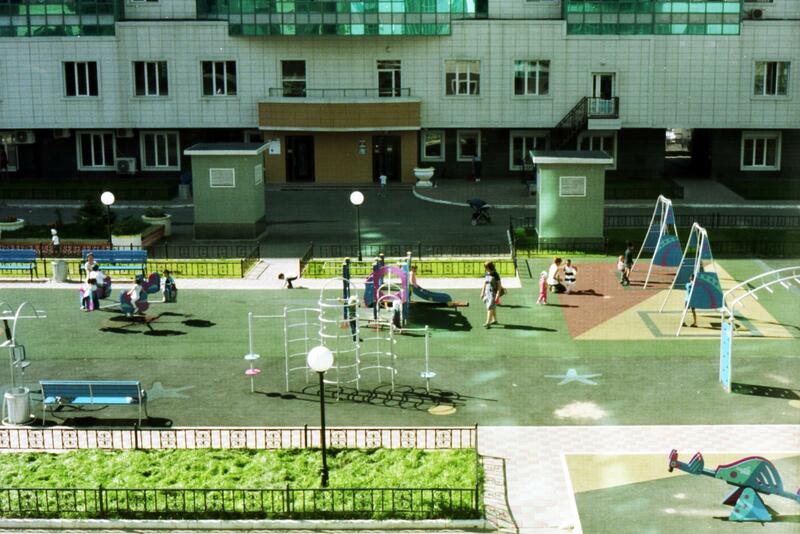 The courtyard of a Sarayshyq Street condominium. 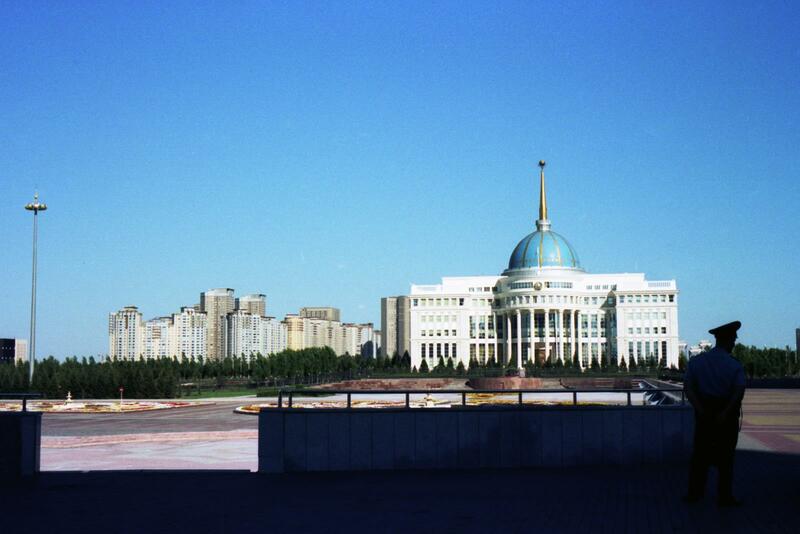 The Ak Orda Presidential Palace, officially opened in 2004, it is the president’s place of work and houses the staff of the Presidential Administration. Nursultan Nazarbayev is the “Leader of the Nation” since 1990, according to various sources, he has suppressed dissent and presided over an authoritarian regime. The Neke Qiyu, the religious part of the Kazakh wedding ceremony, performed by a mullah, the teacher of Islam. This moment is just a small portion of the whole wedding ceremony, that can take weeks or even months to complete due to negotiations between families. Few kilometres outside the new, shiny city centre, there is a city made of small, badly built, falling houses and roads made of dust. 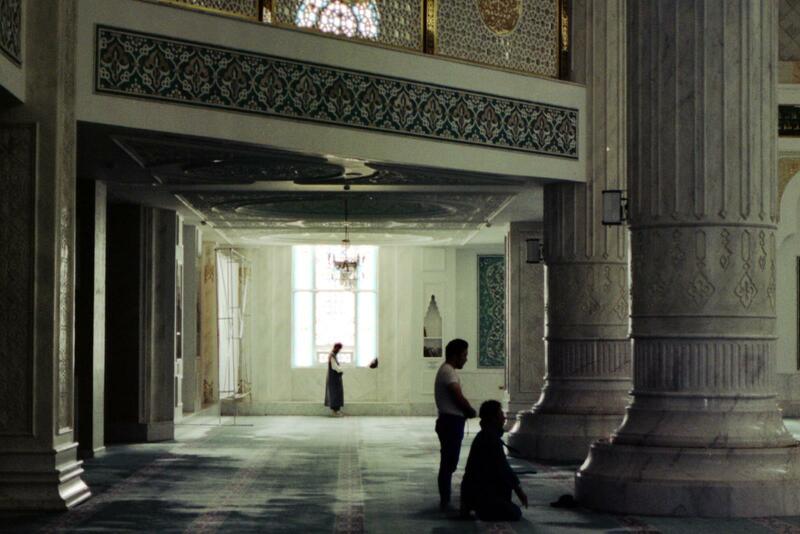 People praying in the Hazrat Sultan mosque, the biggest of central Asia, opened in 2012, can accommodate 5000 worshipers. 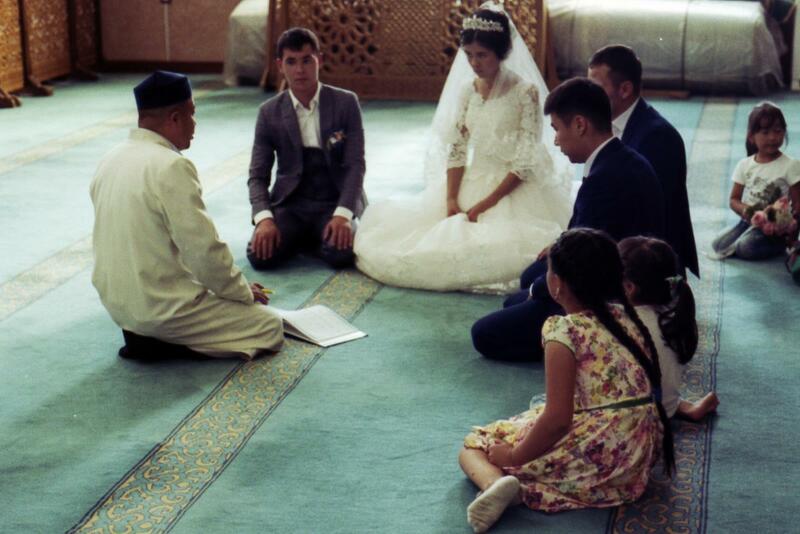 Around 70% of Kazakhstan's 16 million people are Muslims. Outside the old Astana train station. Aina, 34, she works as gynecologist, born in Novosibirsk from Kazakh parents, she left at 25 for Astana. In her free time she write fantasy stories, about animals and people. She is happy of her life. 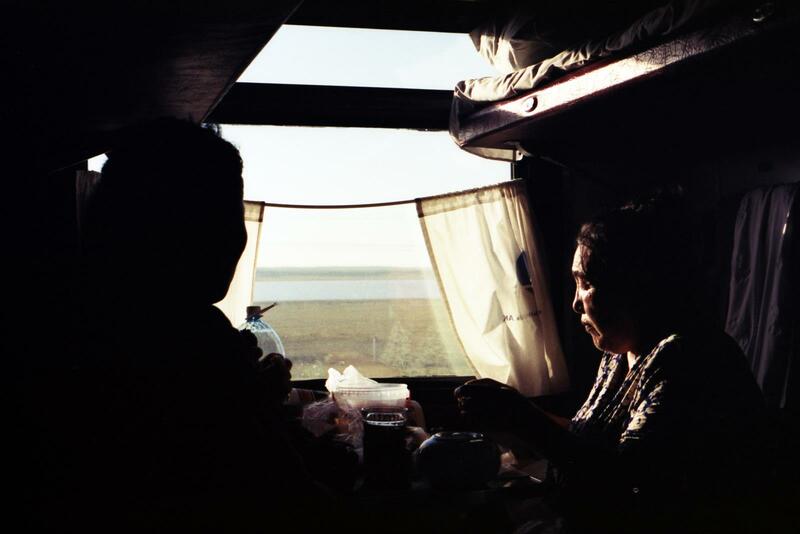 People eating on the train to Pavlodar. Railway infrastructure is quite old, except for the new Talgo trains, a trip with the Soviet-era trains can take a lot of hours. 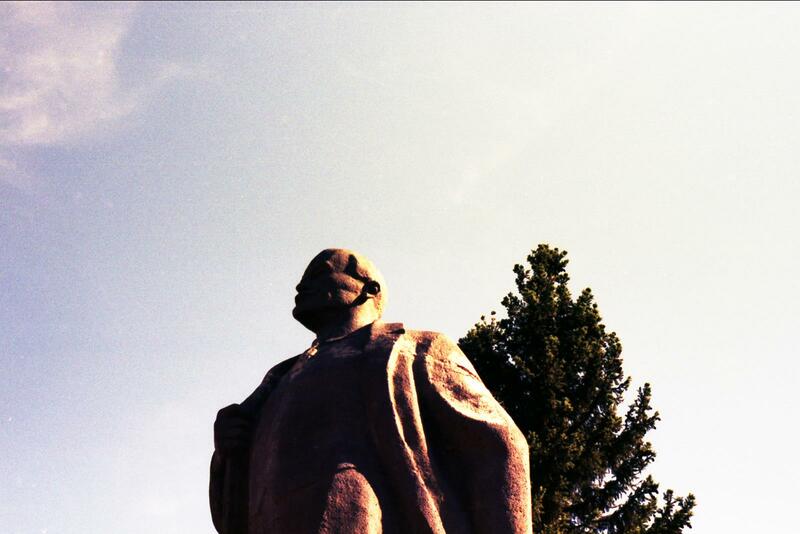 A statue of Lenin in one of Ekibastuz central street. 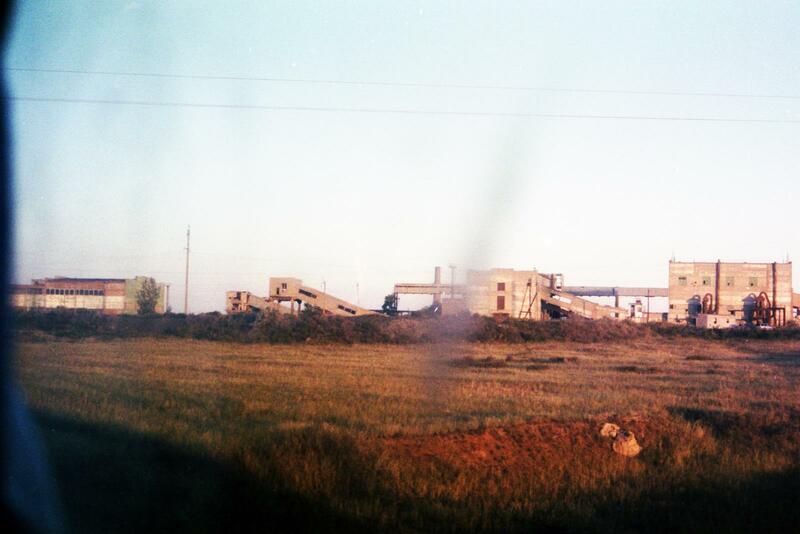 Communist symbols are still quite present, especially in the small towns of northern Kazakh. 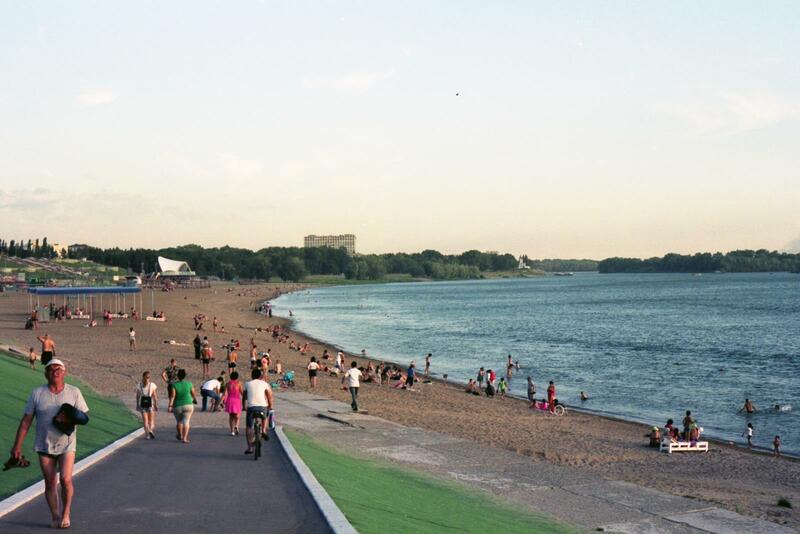 The Naberezhnoy beach in Pavlodar, on the Irtysh River. People praying in Pavlodar Mashkhur Jusup Central mosque. Opened in 2012, can accommodate 1500 worshipers. 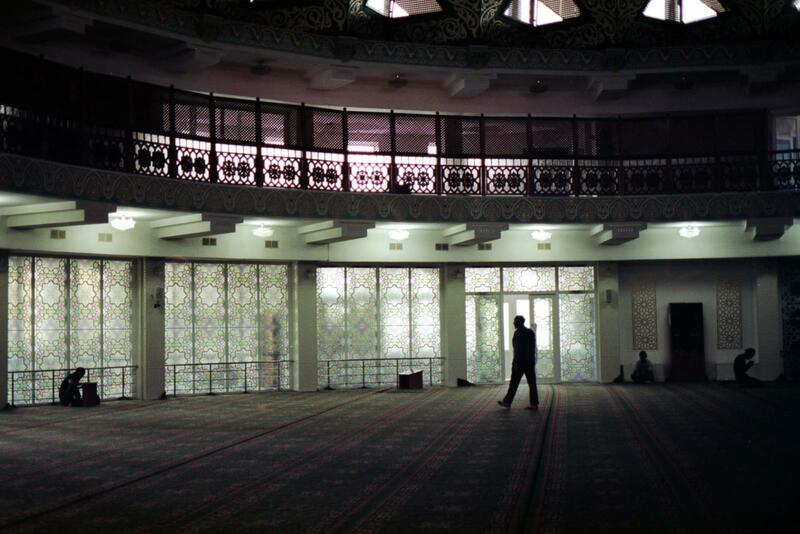 Around 70% of Kazakhstan's 16 million people are Muslims. Landscape from a train. 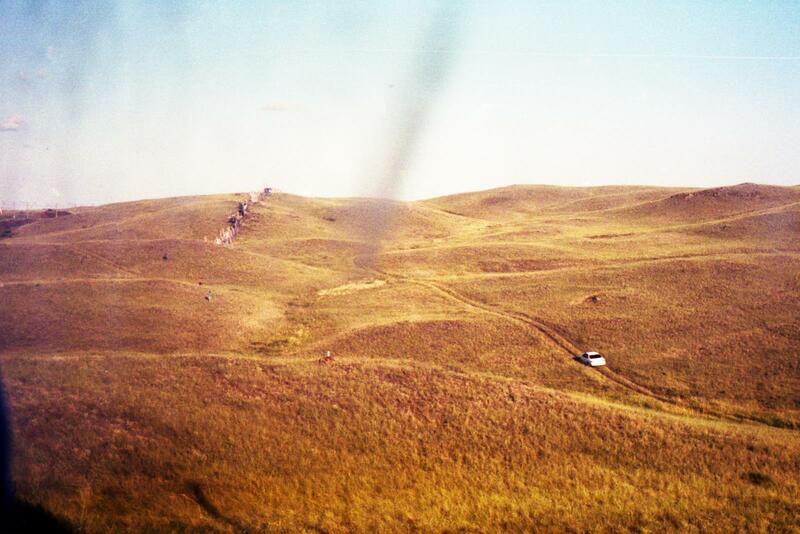 Much of Kazakh steppe is populated by pylons, fences and ruined structures. 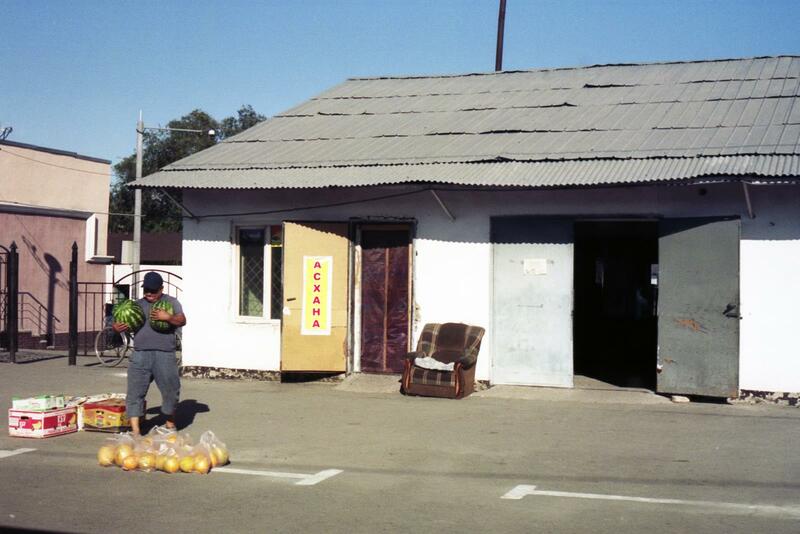 The Semey market. 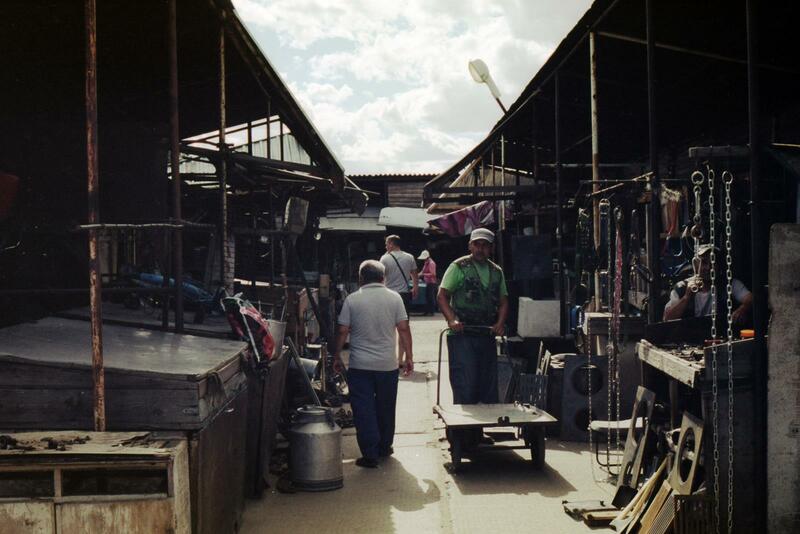 Every Kazakh city has it own market, usually located outside the modern malls, it is possible to find everything, from dresses to wrenches, even puppies. 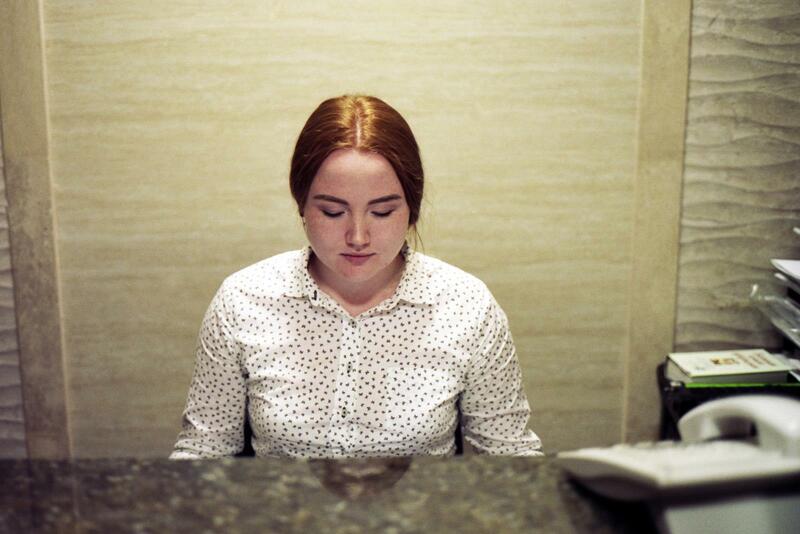 Aliona, 22, she works as receptionist, her roots are from Siberia. There are a lot of tourist in Pavlodar, especially from Germany and Ireland, but she don’t speak English, the good school education praised by the government is just propaganda, in her opinion. She is a painter and dream to make a job from her passion one day. Matai, people waiting for the train for set up an improvised market on the platform to sell food. In the small villages the stations represent the main connection with the world, most social life takes place here. The Park of 28 Panfilov Guardsmen is a major park in Almaty, located near the Zenkov Cathedral. 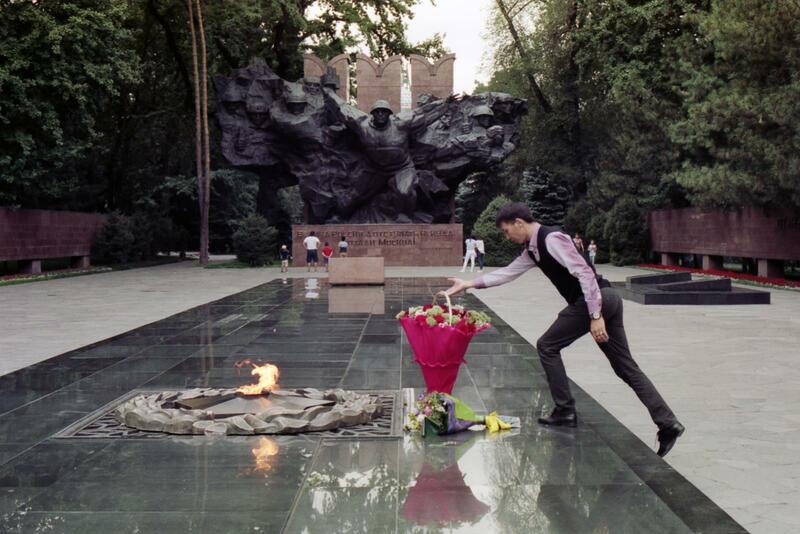 It is dedicated to and named after the Panfilov Heroes, 28 soldiers of an Almaty infantry unit who died fighting Nazi German invaders outside of Moscow in World War II. 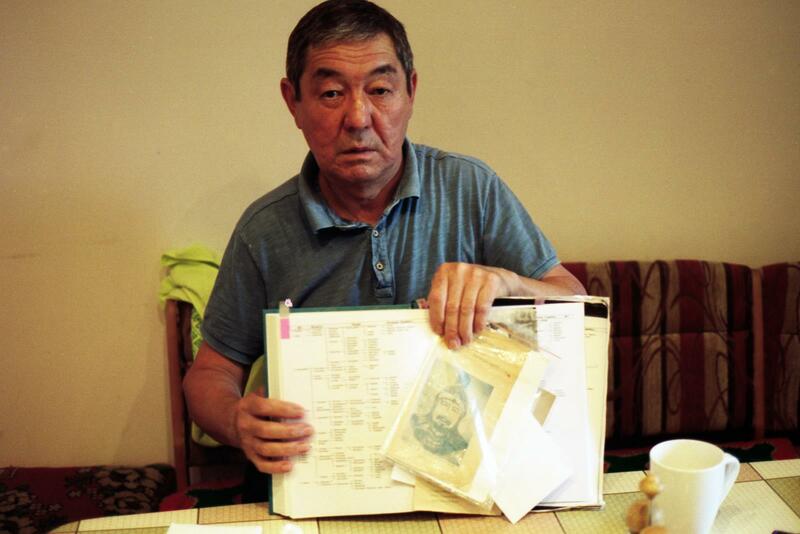 Meryert Bedelbayev, 73, showing proudly his genealogical tree, he is a descendant of Mamaj Jumağululi, an ancient Kahn of Mongolian origins. Kazakhstan is one of the asian country with more heterogeneous ethnicity, with hundreds of different “tribes”. 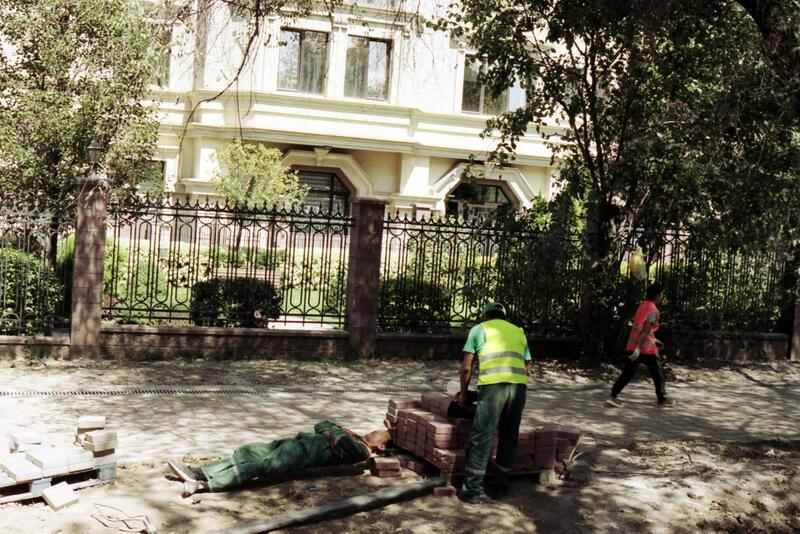 A man sleeping on a plank, during reconstruction of sidewalks in Almaty. 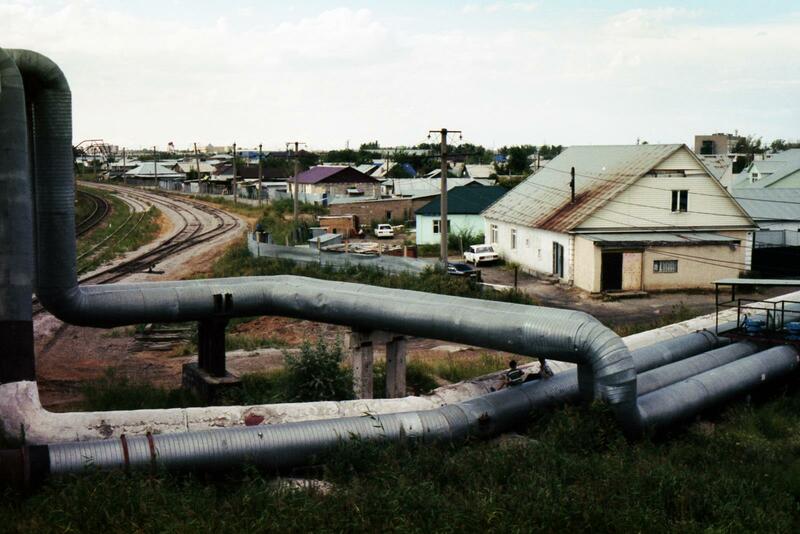 Security measures during public works are minimal in Kazakhstan.